Debuted during the summer of 2012, one of Drum Corps International's newest additions to its historic audio/video series, the Essentials Collection – Champions, will ship to you for free from now until Monday, Dec. 31. The Essentials Collection brings you 13 legendary Championship performances, presented like never before with audio re-mastered in 5.1 surround and video up-converted to high definition. This Blu-ray disc utilizes cutting edge technology to create the highest quality audio and video possible from original source materials. What is the Essentials Collection? 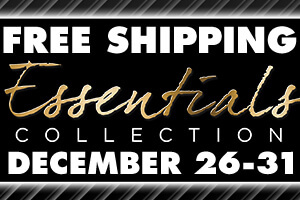 What makes the Essentials Collection essential?